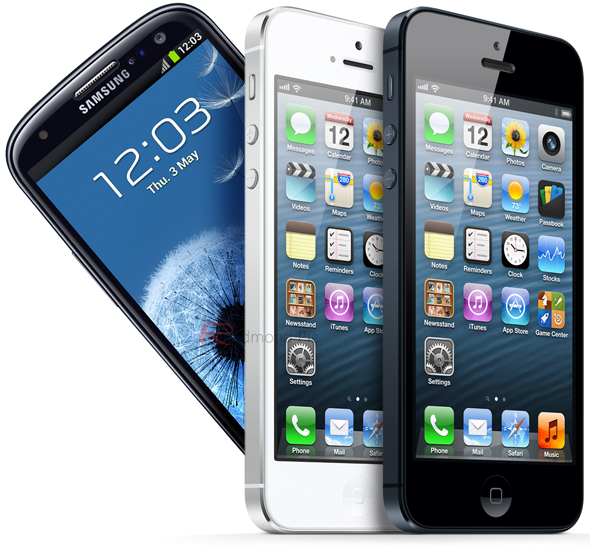 With Android frequently making the news with regards to malware outbreaks, you may be forgiven for thinking apps on the the open-source platform were more likely to leak your private info than, say, the much more watertight iOS. Apparently, this is not the case, and as per a study by Appthority, which plies its trade in assessing mobile apps for numerous companies, free apps over at the App Store present a greater privacy risk to users than the free offerings over at the Play Store. At first glance, the Appthority study seems to present both iOS and Android apps in a similar light when it comes to violation of personal info. Of the top 10 selling apps for each platform of five different categories studied, 60% of iOS apps and 50% of Android apps were culpable of sharing data with advertising and analytics networks. Thus, you might think, pretty equal. However, on closer inspection, it would appear iOS apps tend to take a wider variation of private data from a variety of areas within a device. 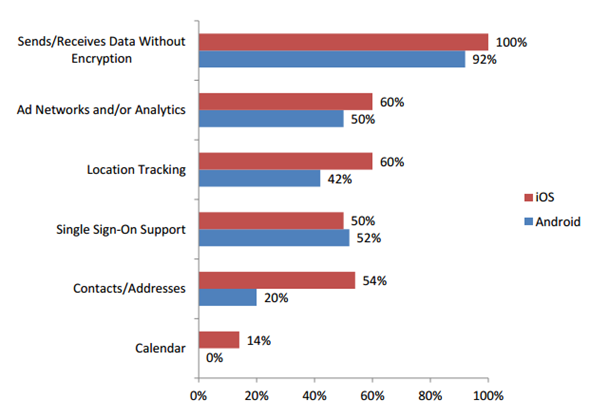 For example, 60% of iOS apps grabbed location data, 54% scanned contacts, while 14% took a sneaky peek at your calendar. On Android, meanwhile, only 42% went for the location, 20% the contact lists, and zero went for the calendar. Not a massive difference, granted; but according to this sample, it’s fair to say Android’s free apps are less likely to dish out your personal info, and if they do, it’s less severe than with iOS. Neither platform scored well with regards to encrypting user data, but once again, the Android sample did notably shade it. While 100% of the iOS apps happily sent unencrypted data to ad networks, 92% of Android apps did so. So, why are Apple devices more prone to data leaks? The answer is simple: ad networks pay more for user data from iOS smartphone and tablet owners, which in turn means devs can make a handsome return by passing the info on. The cheaper an app, the more likely it is to leak such info, as the developer is likely struggling to make a return on a free / 99 cent title. Domingo Guerra, president and co-founder of Appthority, advises those looking to protect their privacy when hunting for apps to pay for a reputable, established title, rather than looking for a free alternative.